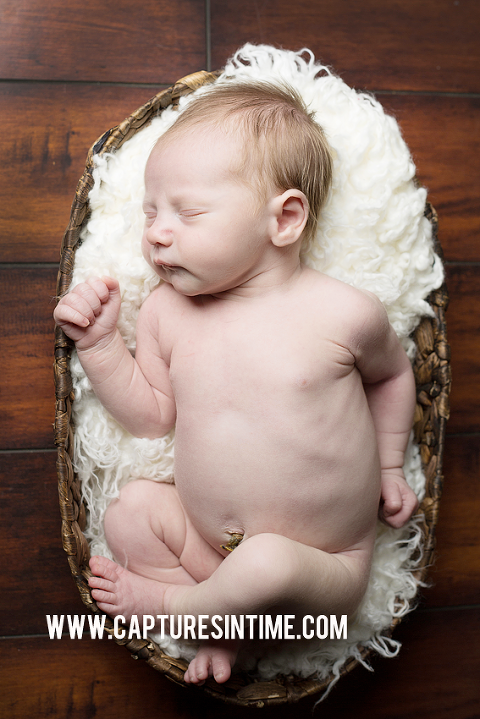 I love a newborn shoot with neutral colors! This little man was such an angel. He just slept like a dream during his newborn session and he has the longest fingers. I always wonder if babies will play the piano when they have long fingers. I am still trying to get my boys into piano lessons and neither has been very interested so far. 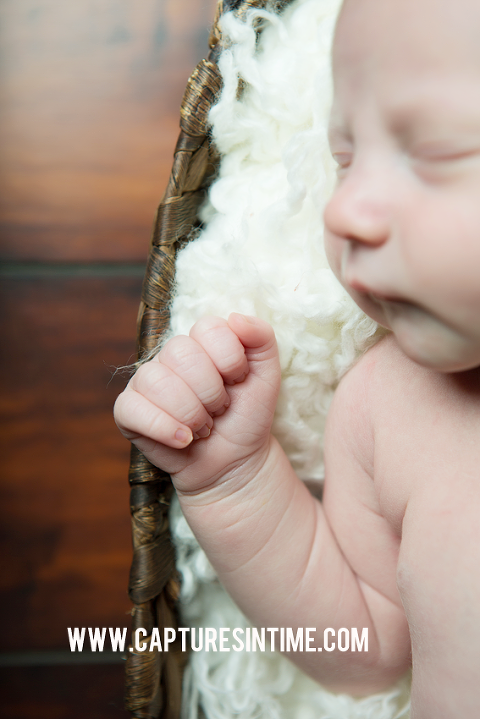 Sometimes my favorite shots from a newborn photo session are a close up of their little hands or feet. Those tiny little fingernails and wrinkles, the perfect skin, sweet little lips. I try to capture all of those tiny little things that you spend time staring at those first two weeks out of pure amazement. (At least know I did.) I didn’t get a whole lot done on those new baby days, but I would not trade it for the world! Those tiny little fingernails, the short, fat toes. I would just sit and stare at them. And you know what? I don’t regret one second of that time! I wish I had it back. Sigh. I love using muted and neutral colors in my work. 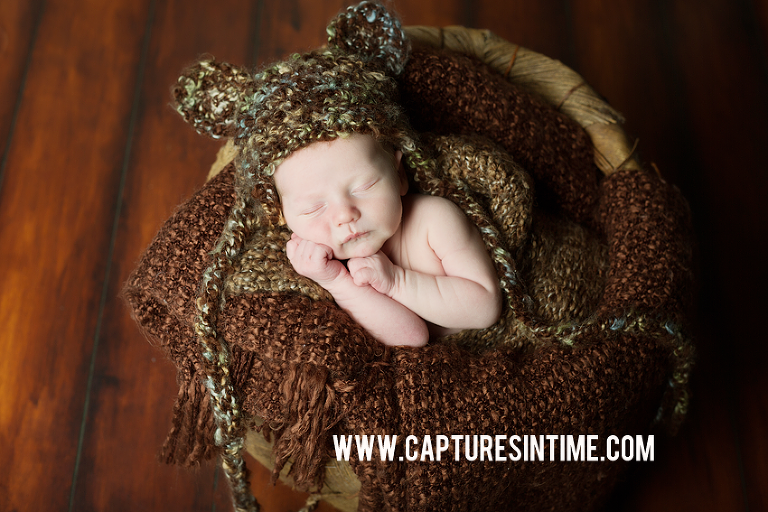 There are so many variations and textures, I can never get bored with them as a Kansas City newborn photographer. I don’t know about you, but I have spent a lot of time and effort decorating our house and want things to mesh well together. I don’t like things too”cheesy”. I want to be able to show portraits of my children and not just keep them in a box somewhere. Neutral goes with everything! It makes decorating and dressing much easier! Are you expecting? 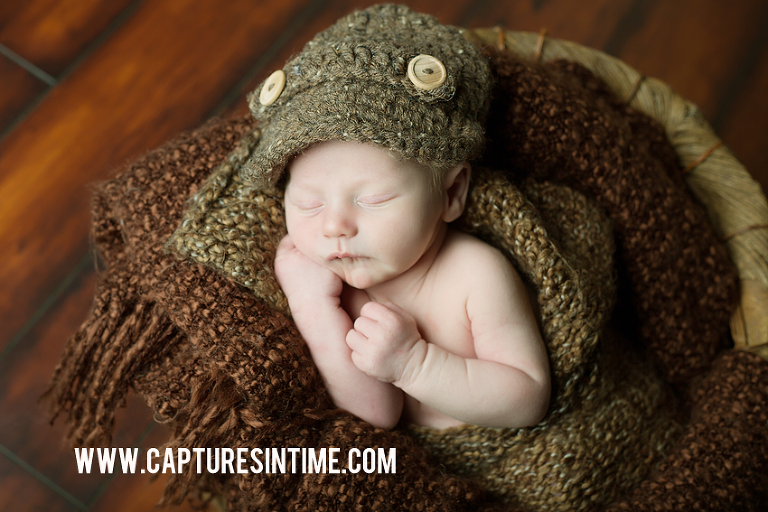 Contact our studio and schedule your newborn portrait session during your second or third trimester to guarantee we have a newborn session slot open within two weeks of baby’s birth!